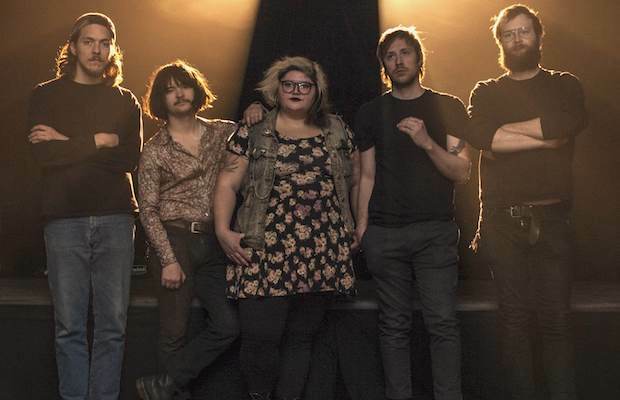 Formed a few years ago in Philly by brothers Kyle and Hart Seely, and fronted by the incomparable force that is Tina Halladay, rockers Sheer Mag combine a love for arena-ready ’70s rock, punk, and pop, harboring just as strong an affinity for influences like Thin Lizzy as Fleetwood Mac. With scrappy punk spirit and huge, catchy songs, the fiercely independent group have attracted fast-growing hype, and their bombastic live show and three lean, killer EPs, has already earned them spots at major events like Coachella, and an appearance on Late Night with Seth Meyers. Almost two years after making their Music City debut at the now-defunct Stone Fox, the group have announced a return, May 25 for a performance at Third Man Records. One of our favorite spots to see live music in all of Nashville, tickets for the all ages event are available here!